shower, toilet & vanity. Queen or Superking beds. Dining table & chairs. Free wireless internet Sky TV/DVD Player. Executive upstairs & downstairs units all of superior standars. Spacious with full kitchens, en-suites with shower, toilet and vanity. Leather lounge suite, dining table & chairs. Sky TV/DVD player, free wireless internet. Sleeps up to 5 people. King or Queen size beds with 3 single beds. 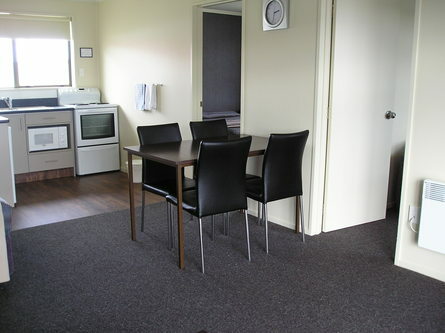 Spacious units with full kitchen and ensuite with shower, toilet and vanity. Lounge suite, dining table & chairs. Sky TV/DVD player. Free wireless internet. Sleeps up to 6 people. 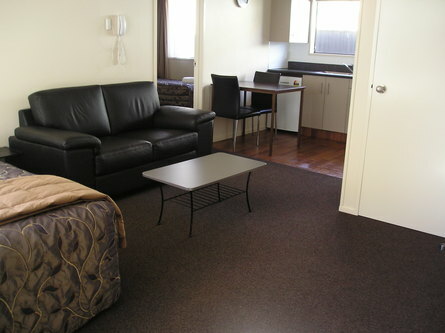 Queen size bed & single in one bedroom, 2 single beds in bedroom, 1 single bed in living room. King or Queen size beds and 2 single beds. Groundfloor units. of a superior standard. Kitchens and ensuites. 32"LCD/DVD. Leather lounge suites. Queen bed in living area and 2 single beds in bedroom. Very comfortable units. Sky TV & free wireless internet. 3 units with queen size bed in living area and 2 singles in bedroom. Groundfloor unit. Larger living area, with kitchen, en-suite with shower, toilet & vanity. Dining table & chairs, lounge suite. Sky TV/DVD player, free wireless internet. Queensize bed in bedroom only. Your hosts Sally and Greg Edmonds welcome you to the perfect holiday spot, within walking distance of the beach, sports ground, a fantastic playground and ice-skating rink, the Edgar Centre, Forbury Park, and the Chisholm Park 18 hole golf course. 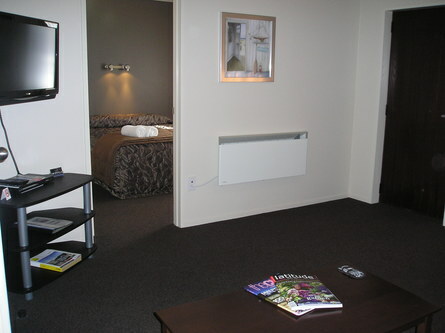 With just a short easy drive you are in the Dunedin city centre, or you can catch a bus. A 15-minute stroll down the beach and you can be part of the ever-growing café/restaurant scene at St Clair Beach. We are at the gateway to the Otago Peninsula, which is noted for its stunning views, penguins, albatross colony and historic sites. 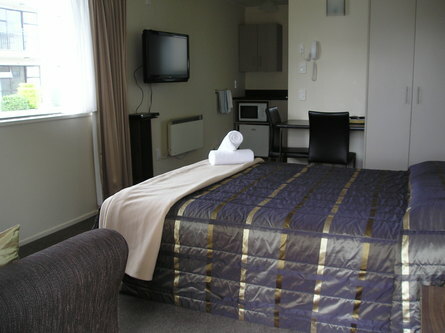 Our clean, tastefully appointed rooms provide a home away from home experience for our guests. 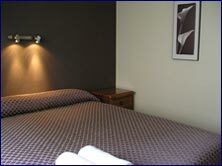 You will have a restful stay in our relaxing and quiet location. Your credit card details are required to secure your reservation. We will hold credit card details pending guest arrival. If a cancellation is required there will be no charge provided we have received 48 hours notice of cancellation (prior to scheduled arrival date). In the unlikely event of a late cancellation or no one arriving, the first night's accommodation will be charged to the credit card.